I’ve always loved turtles so I’m not susprised how easily I fell in love with this new digital scrapbooking collab kit by Jessica Edwards and simply.scraps! It’s totally 100% super cute right? The colors are bang on cute and the little turtles are simply adorable! I think my most absolute favourite thing from this kit has been the tiny felt flowers! 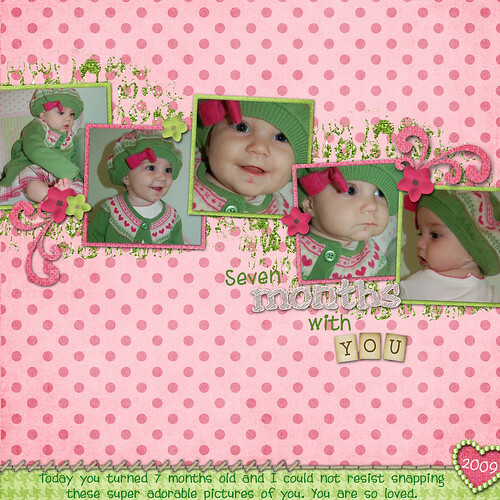 So sweet and not like a typical “digi scrap flower” at all! Love it! You can find it by heading over the Jessica Edward’s Store at Elemental Scraps, adding it to your cart and before you know it you’ll have this super fab kit to call your own! Here is what I came up with when I finally got my hands on it! Nice! That second one is totally awesome!